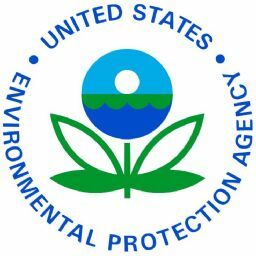 EPA's Watershed Academy will sponsor a free webcast on "Nitrogen and Phosphorus Pollution and Harmful Algal Blooms in Lakes” on Wednesday, January 26, 2011, at 1:00 to 3:00 p.m. Eastern. This webcast will highlight an emerging issue of nutrient enrichment leading to harmful algal blooms in lakes. The webcast will explain the connection between nutrients and harmful algal blooms such as blue green algae. These algal blooms are causing loss of recreational uses including fishing, swimming and in some cases are resulting in increasing costs for drinking water treatment. The webcast will provide an overview of the issue and will present case studies on Grand Lake St. Mary's in Ohio and Lake Waco in Texas. This Webcast is a first in a series of Watershed Academy Webcasts on the important issue of nutrients and their impact on water resources. To register for this Webcast, visit www.epa.gov/watershedwebcasts. Webcast participants are eligible to receive a certificate for their attendance. Slide presentations are posted in advance and participants are encouraged to download them prior to the webcast at www.epa.gov/watershedwebcasts.